Death? Why this fuss about death? Use your imagination, try to visualize a world without death! . . . Death is the essential condition of life, not an evil. The US Dollar Coin: What Happened to the Women? Perhaps it is the quirky person who loves the dollar coin. But who didn’t love finally seeing a woman on a coin? Initially it was Susan B. Anthony (a woman way before her time who was against slavery before the Civil War but is best known as a passionate suffragette). Her coin was designed by Frank Gasparro and introduced in 1979 to the great joy of women all over the country. BUT it was a similar in size and color to the traditional quarter (what WERE they thinking?) 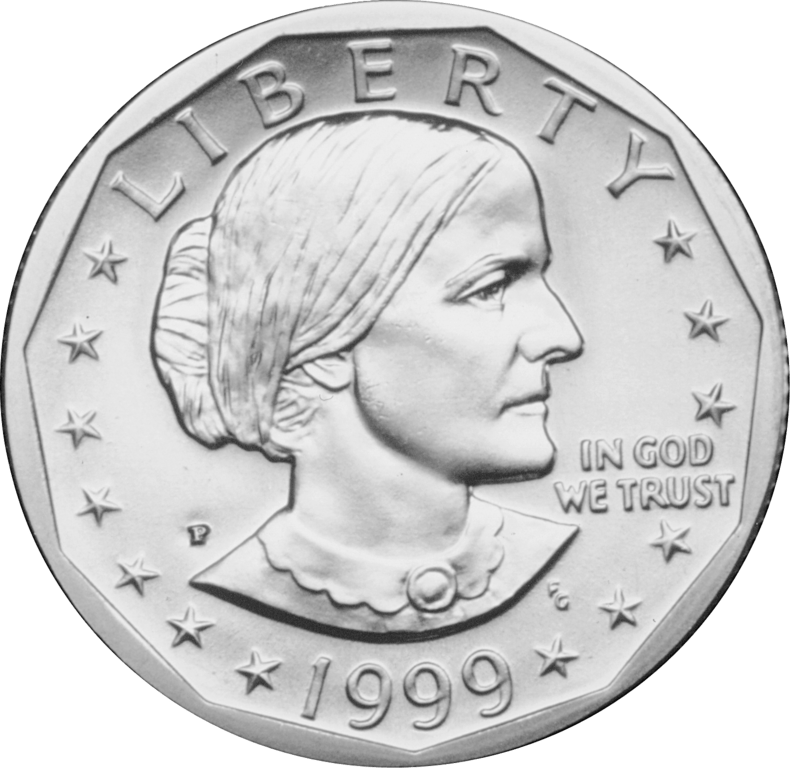 so it became hated almost immediately by all but the fans of Susan B. and especially by vending machines that were not equipped to deal with this new-fangled coin. Then came an improvement the coins, designed by Glenna Goodacre, and introduced in 2000. 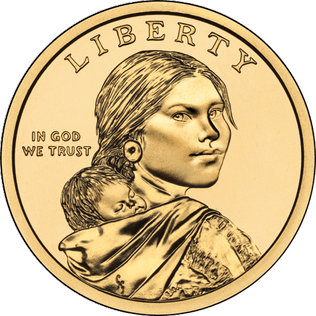 These coins were made gold colored with copper core clad by manganese brass, featuring Sacajawea the famous Shoshone guide of the Lewis and Clark expedition with her child, Jean Baptiste Charbonneau. What most people don’t know is that since 2009 it has had a different reverse image. Initially it featued the best known reverse an eagle, designed by Thomas D. Rogers. In 2007, the Native American $1 Coin Act, specified that the one dollar coin shall depict “images celebrating the important contributions made by Indian tribes and individual Native Americans to the development of the United States and the history of the United States.” Since then it has featured four different images, none of which I have remembered coming across! Then in 2007 the Presidential Dollar coins made their appearance and we are back to the dead white guys on the coins. These you will mostly see with the image George Washington as they minted fewer and fewer primarily for the collector market after 2011. If you want to make a friend ask a teller at the bank for some dollar coins. They usually have them in their trays, they have to count them every night, and customers generally don’t want them. They work great in parking meters, for bus fares, garage sales, or just to try to start a trend of accepting coins instead of bills for the smaller denominations as so many countries have done. 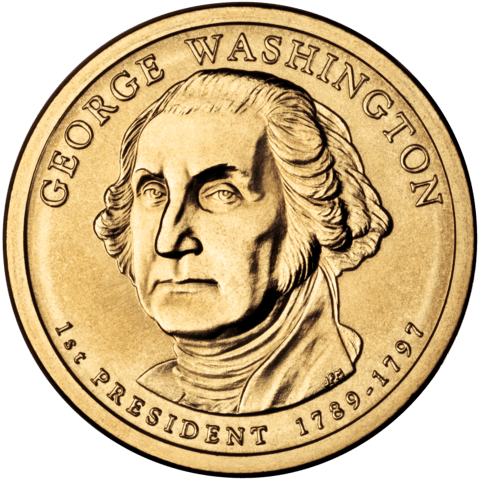 If you can’t sleep and need a little dry reading here’s the report that details how much money would be saved by using dollar coins instead of the more traditional paper, start a trend today and adopt the dollar coin. We are one of the few countries in the world with currency that is all the same color and size making it a nightmare for those with low vision.